Blues Nation was riding high after general manager Doug Armstrong pulled off one of the greatest draft day heists in recent memory when he traded for Brayden Schenn and traded back into the first round to select Klim Kostin. 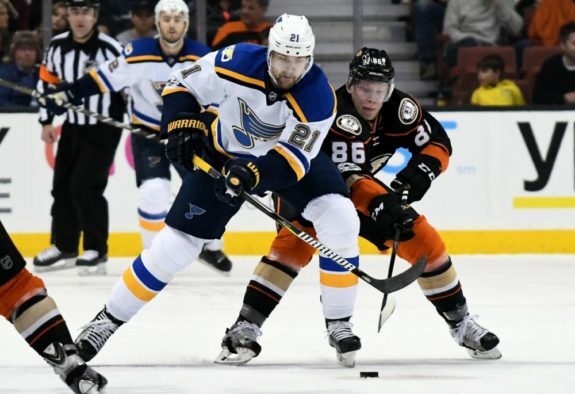 On June 28, the Blues announced that forward Patrik Berglund was forced to have surgery on his left shoulder after an accident during routine offseason training in his native Sweden. Berglund flew to St. Louis to undergo the procedure at the Washington University Orthopedic Center. The injury is being called a dislocation and the surgery performed by Blues doctors was successful, but the incident is a serious blow for St. Louis moving forward. Expectations were high going into 2017-18 for Berglund, who had a career year in 2016-17 scoring 23 goals and racking up 34 points. He signed a five-year, $19.25 million contract extension in February that accounts for a $3.85 million annual cap hit and has a no-movement clause in effect for 2017-18. In the following four years of the contract, Berglund has a no-movement clause with a partial no-trade clause attached. Berglund in 2017, (Jayne Kamin-Oncea-USA TODAY Sports). This is not the first time a shoulder injury has hampered Berglund as he missed substantial time in 2015-16 after playing through a right shoulder injury that eventually forced him to have surgery. 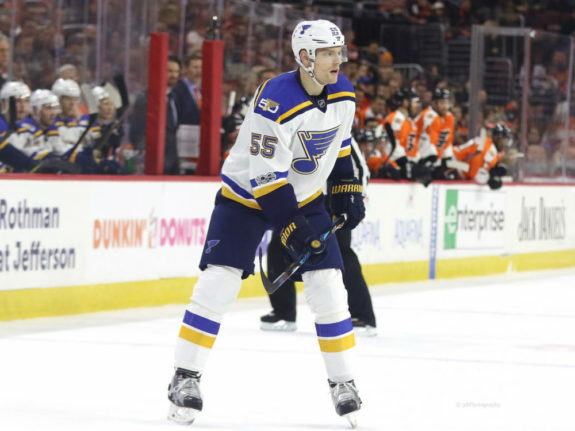 A bounce back year for a big payday meant that the Blues would be relying on the 6’4″ Swede to continue to contribute both offensively and defensively. Now that Berglund is expected to be out of action until December, the Blues are in a tough situation. After losing three key contributors in David Perron (expansion draft), Ryan Reaves (trade) and Jori Lehtera (trade) the Blues were looking to add forward depth this offseason; particularly forwards that can score. 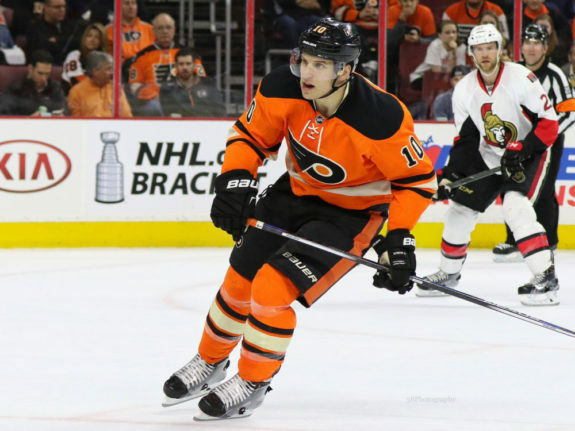 They added power play specialist Brayden Schenn in the Lehtera trade and plans may have been to take pressure off the 25-year-old on defense and play him at wing. Now that Berglund will no longer be in the lineup this may force the Blues to move Schenn back to center. Brayden Schenn in 2016, (Amy Irvin / The Hockey Writers). The Blues’ biggest priority at this time is re-signing restricted free agent Colton Parayko. It was rumored that Parayko’s deal could be similar to Philadelphia’s Shane Gostisbehere’s six-year, $27 million extension, but reports are now suggesting that Parayko could get the same seven-year $45.5 million extension the Blues gave captain Alex Pietrangelo in 2013. If they sign Parayko to a similar deal, the Blues will be left with approximately $5.1 million in cap space. It has been rumored that the Blues will be seeking another goal-scoring forward in free agency. Berglund’s injury may ensure that the team brings in a free agent center to help ease the transition to life without him for the beginning of the year. Nick Bonino, 29 years old, and 27-year-old Sam Gagner could be free agent candidates the Blues will be able to afford after the Parayko signing. Colton Parayko in 2017, (Amy Irvin / The Hockey Writers). Whether or not the Blues bring in a veteran this offseason, Armstrong mentioned that changes to the lineup and possibly positional changes will be necessary.